Its about time I post my coverage! I have been super busy lately playing GT5 and working I haven’t had time to post or even edit my photos from the event. But i finally buckled down and got it done. The show was pretty cool, other than the swarms of people everywhere. 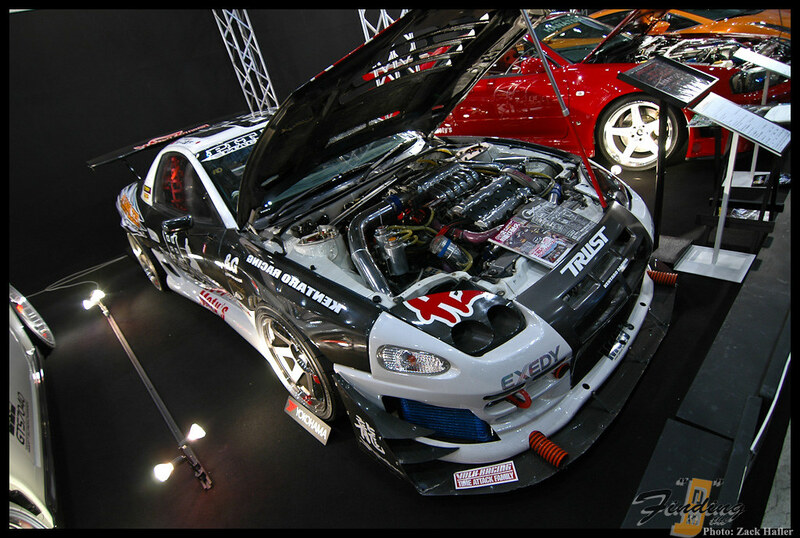 I’m still a little disappointed I missed the D1GP drift exhibition but hey, I’ll see plenty during my stay here. Well…check out the shots. Right when we walked in we were greeted by the RE Amemiya booth. 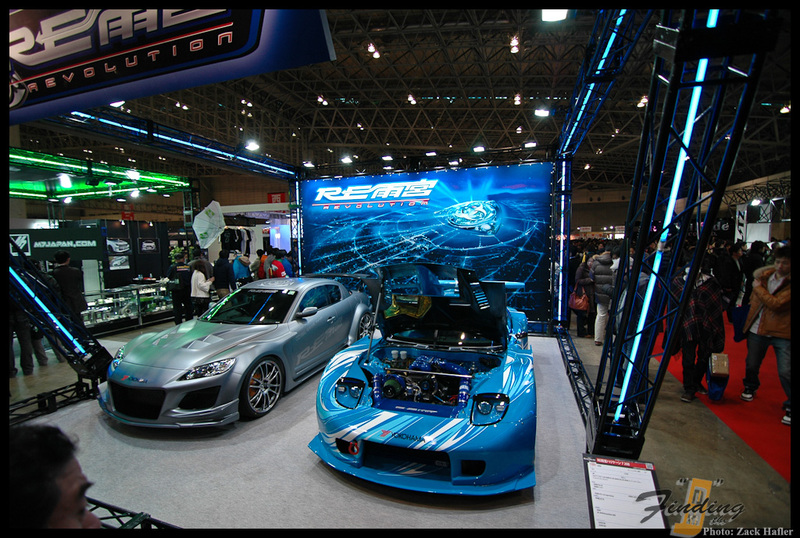 Right around the corner was the Blitz booth, showing off their fully tuned R35 demo car. Also, Blitz had a lot of parts on display. 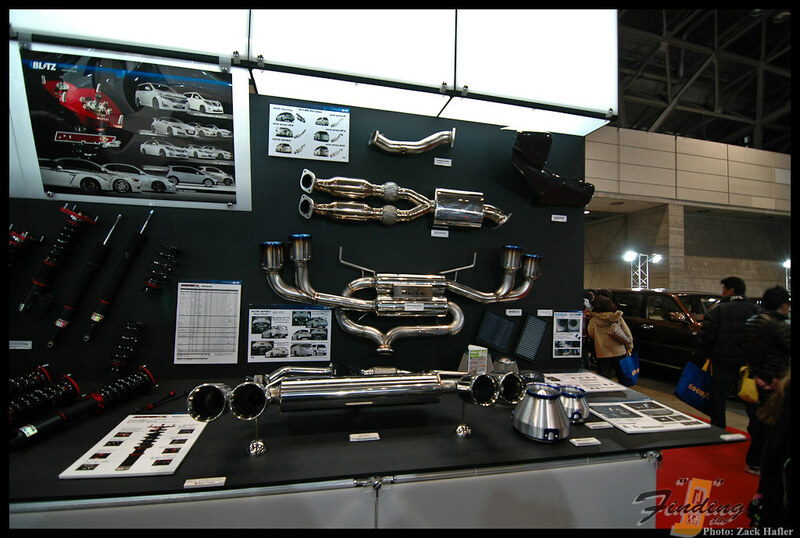 These exhausts were amazing…the craftsmanship is just perfect! 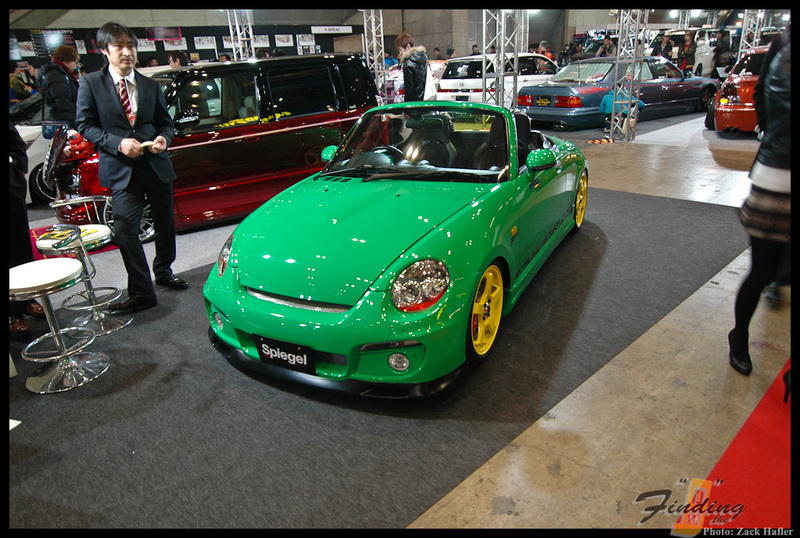 They also had coilovers, turbos, wastegates, bov’s and more. 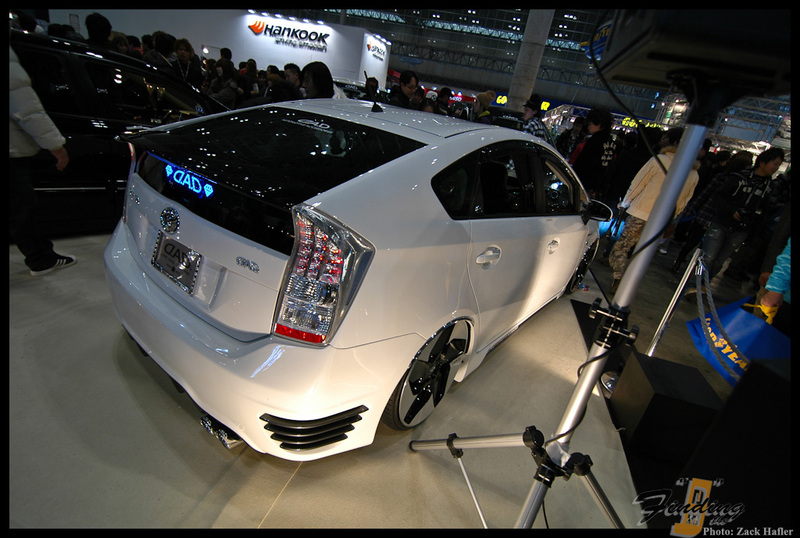 The HKS booth wasn’t as parts-loaded as the Blitz booth, but they had their R35 and…. Their SuperCharged Honda CR-Z.Last I checked, this car was making over 300whp. You can search YouTube for the full build series by HKS. Club RH-9: This is “club” where all of it’s members are street legal and run the 0-400m in 9-sec or less! An amazing feat considering Japans inspection criteria. 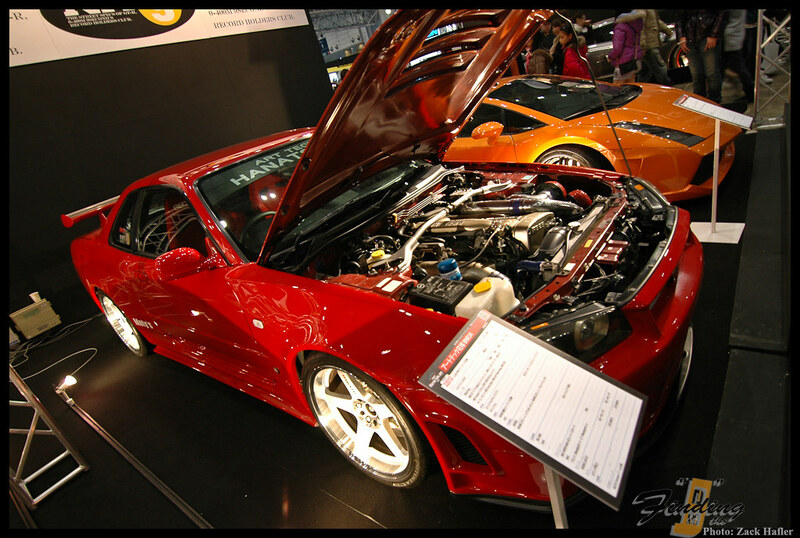 I don’t want to be a hater…but I doubt this GTO/3000GT runs less than 9-sec or is street legal…maybe the club just decided to let him tag along for the show lol. 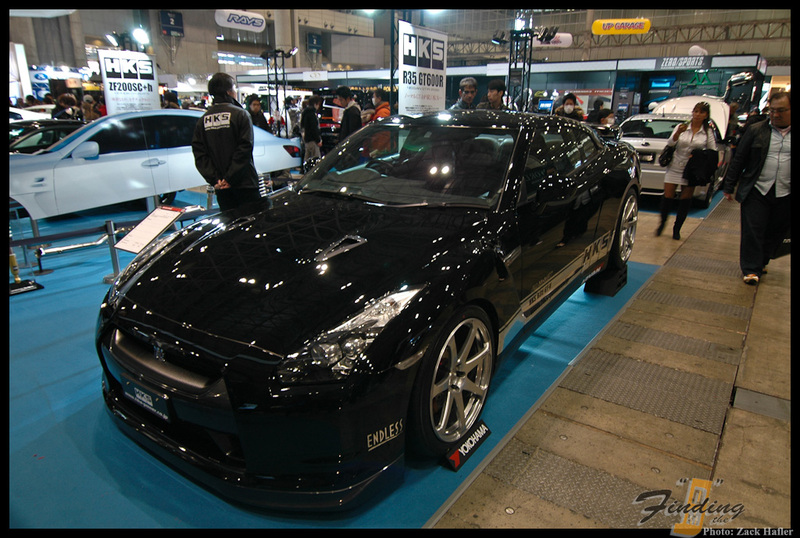 Awesome Nismo Z33…maybe its a sleeper? I don’t know much about this Tarmac Rally Impreza but it was cool because they had real in-car footage playing in the background on a big screen. It was awesome seeing the footage and seeing the car right in front of it! 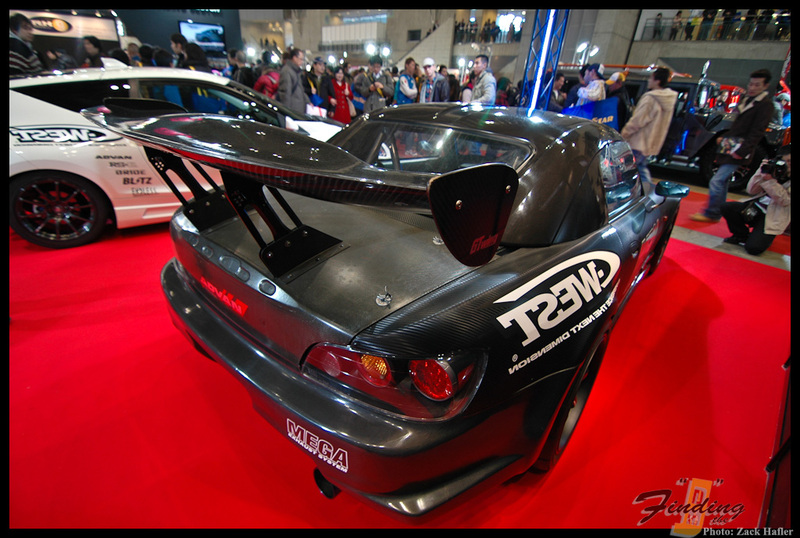 Being an S2000 owner…This had to be my favorite car at the show. Weighs around 900kgs and I’m assuming its making around 300-350ps! I was hard pressed to find any body panel NOT made of wet/dry Carbon…awesome!!!! Maybe I’m just a C-West fanboy, but this CR-Z had to be the nicest of the CR-Z’s at the show…and trust me, there were A LOT of them! 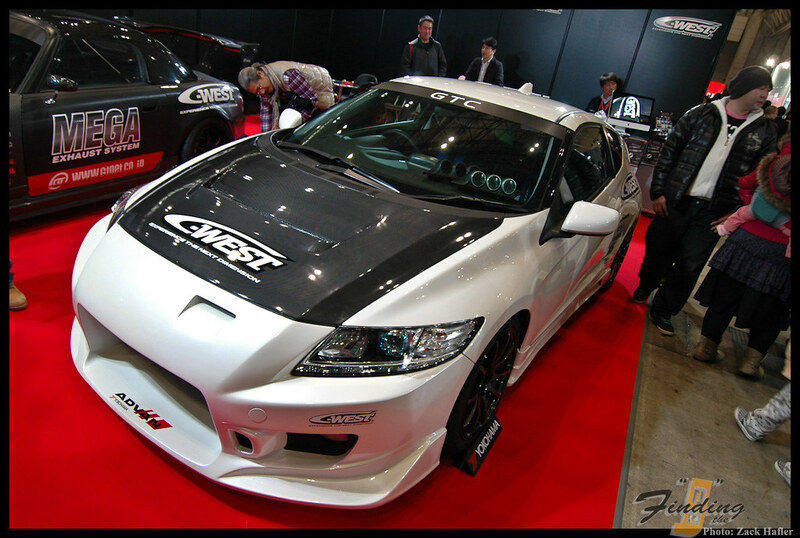 The J’s Racing CR-Z. 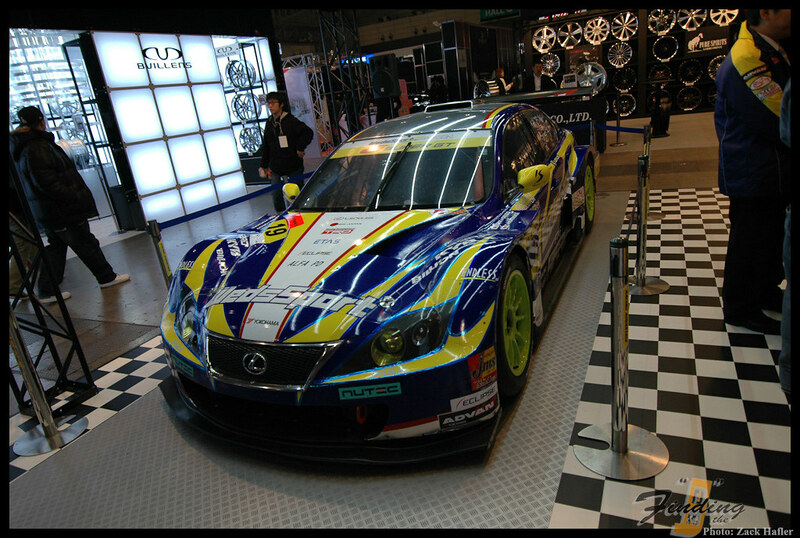 As with most of the recent J’s Racing cars, its totally wrapped in vinyl. I believe there main product here is their new HYPER ECU for the CR-Z. So look out for that CR-Z owners! 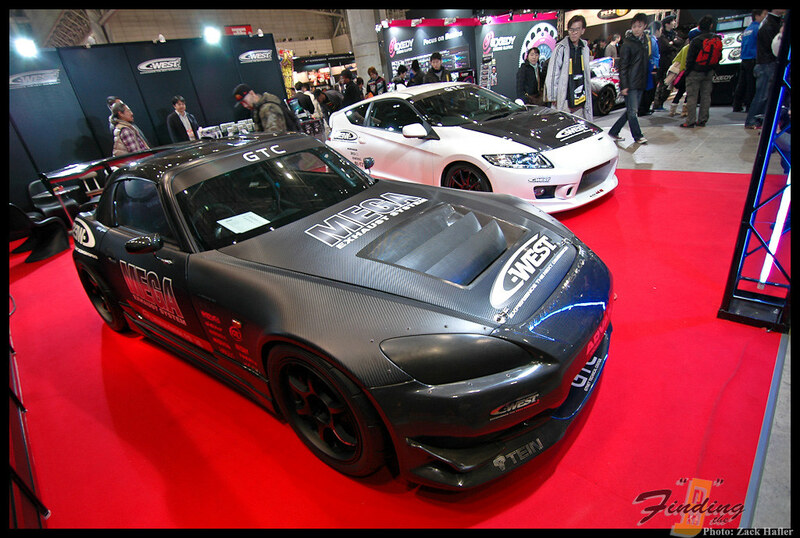 The TWS wheel booth was showing off quite a few exotics. Flat black vinyl wrapped GT3RS. 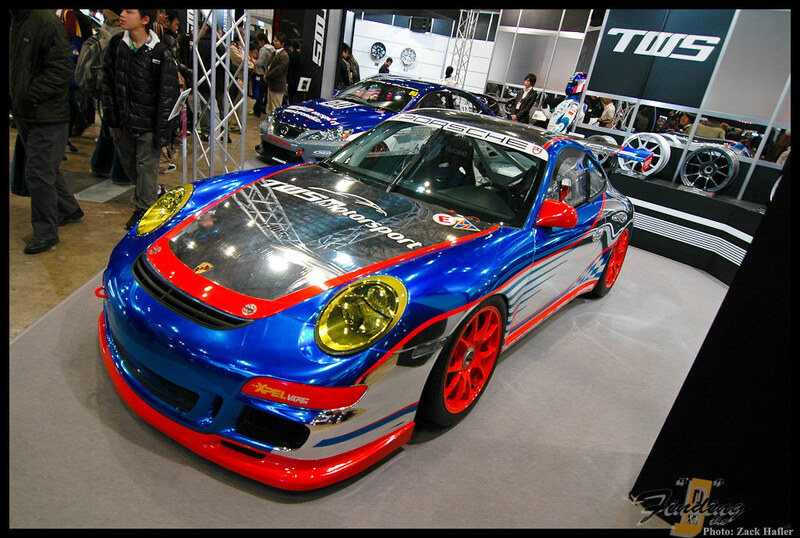 This appears to be a GT3 Cup car…maybe? 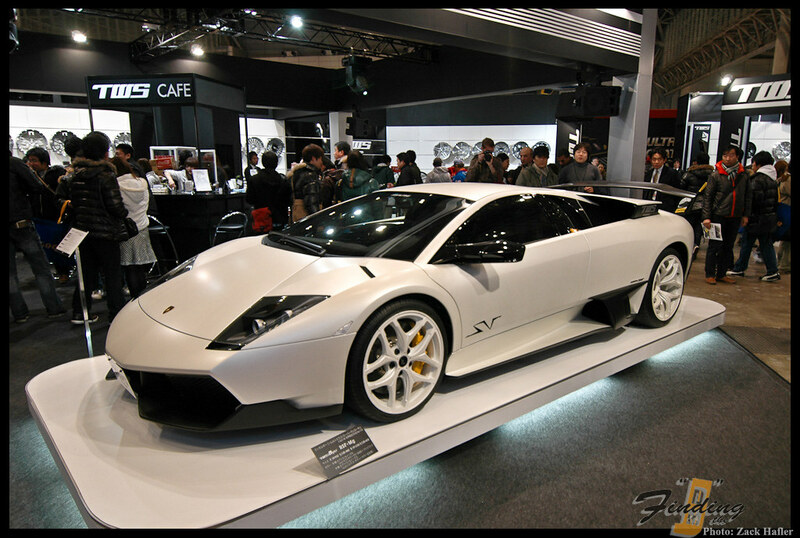 Awesome white on white Murcielago Superveloce! 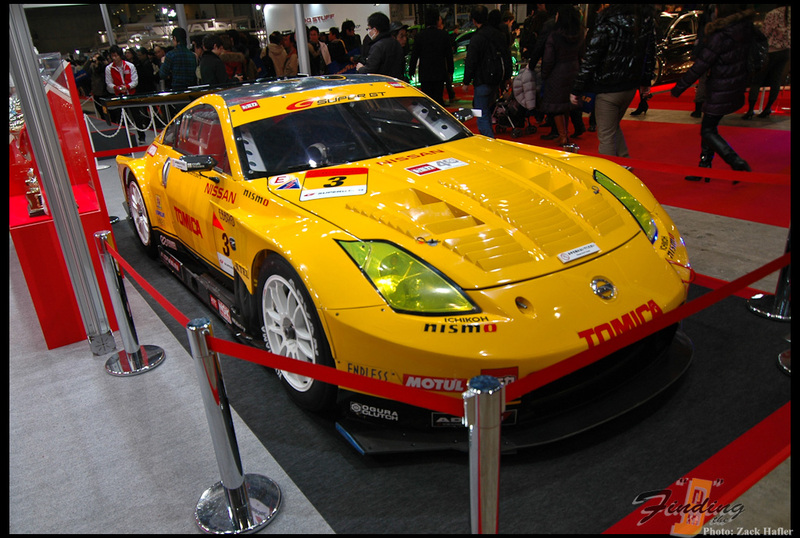 The Tomica Super GT Z33! 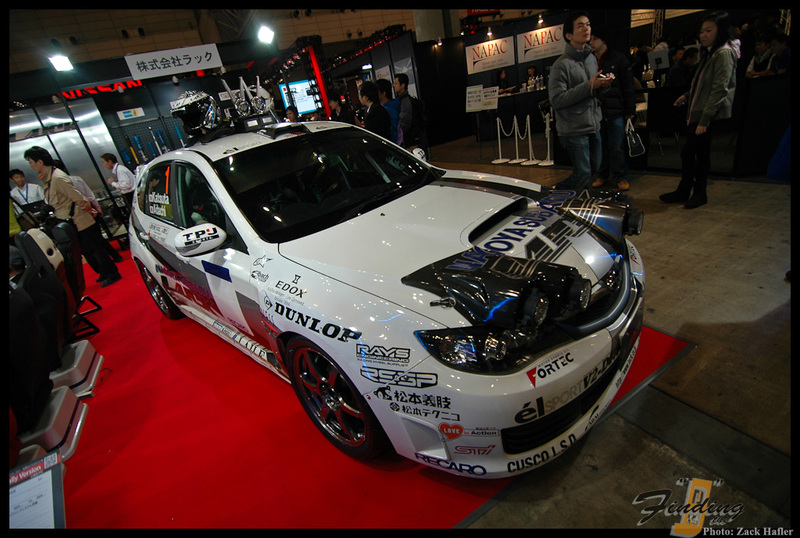 The Wedsport Lexus IS-F…Wish it looked like this from Lexus.